Exact times and locations will be decided once we have a shortlist of applicants. In each case there will be an audition event (1-2hrs) and then some hours of training to follow. The aim is to set up on-the-ground teams who can run public and private gigs throughout the year within their cities on a casual basis. In the UK we are interested to hear from people around London, Brighton, Edinburgh and other UK cities where there might be a market for ongoing activity. There is also a possibility of setting up a team in Holland and Germany. PS. 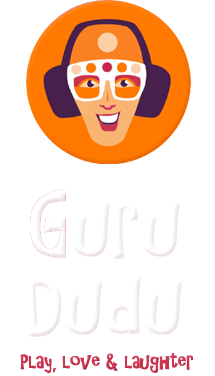 Guru Dudu will be performing at Brighton Fringe from May 3 – June 1 so it’s a great opportunity to see some tours in action and get some training for those who can make it. Please share the link to this page to anyone you think who may be interested.